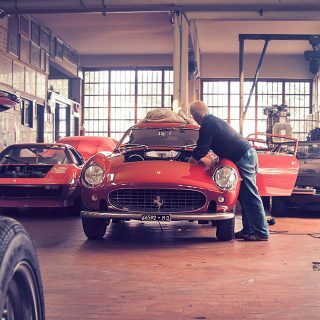 A set of these photos is available in the Petrolicious Shop. I’m Gil and I am 20 years old. Photography and exotic automobiles have been my passion since before I could crawl. I used to love staring at photos in car magazines; spellbound by the works of rolling art in some of the most scenic and breath-taking locations in the world. 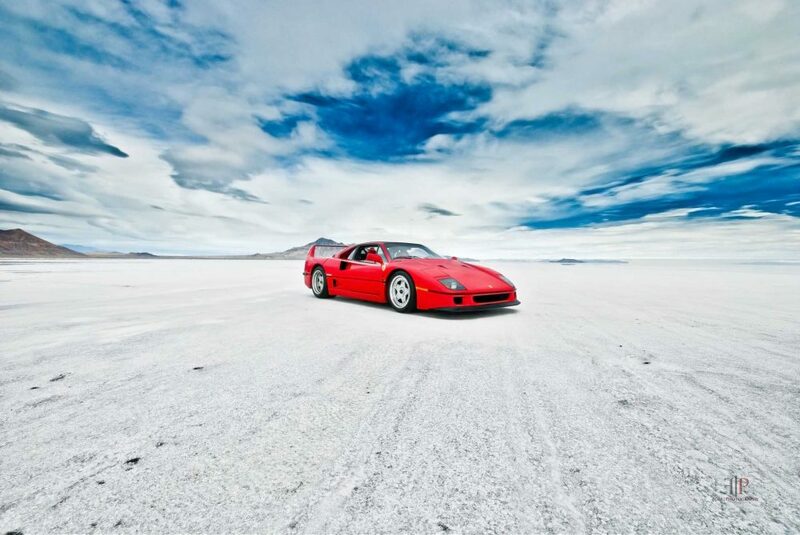 One of the most memorable automotive photo features I ever saw was with an article that Road & Track ran on the Ferrari Enzo. 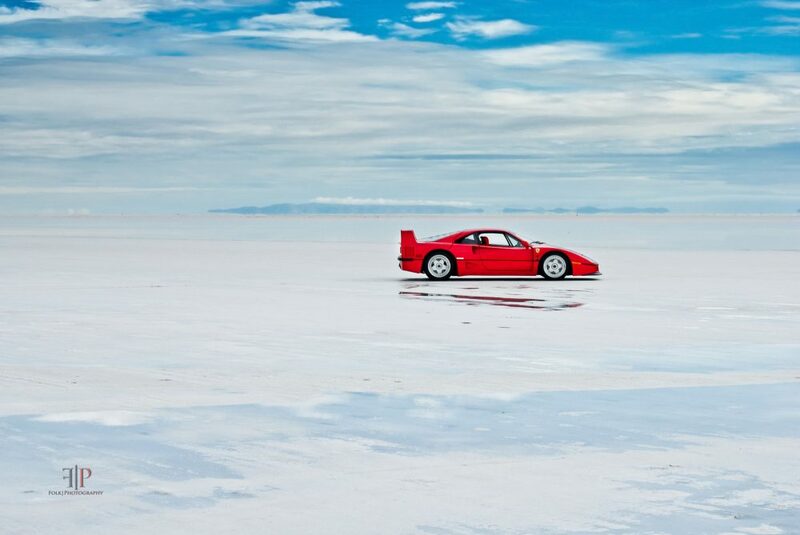 I will never forget how the red popped against the white, crystalline-like surface of the Bonneville Salt Flats paired with the cobalt blue sky. Those images struck me and sparked my desire to learn and master the art of automotive photography; hoping that I could, one day, be fortunate enough to shoot a car–ANY car–at the Bonneville Salt Flats near Wendover, Utah. Over the years, I’ve made many connections and formed numerous friendships through my passion for photography and high-end supercars. I’ve had the fortune of experiencing, first hand, some of the world’s most sought after cars through my photography and find that I have to pinch myself occasionally when I’m with shooting, just to make sure that it’s not a dream. Our plan was to leave on a Friday and arrive in Wendover, Utah sometime that evening. We would spend the night, then head to the Flats the following morning, ready for our date with the lady in red and eighty miles of white abyss. All was looking good until two days prior when the forecast called for a heavy rainstorm near Wendover that Friday. My heart sank. Was the dream shoot going to be cancelled because Mother Nature had her own plans? No, it couldn’t be! I monitored the forecast obsessively, receiving National Weather Service updates every fifteen minutes. “Heavy rain expected in the Wendover area Friday with clearing skies into Saturday. Chance of rain 50%.” That is not what I wanted to see, but I couldn’t avoid the truth. We discussed postponing the shoot, but when comparing schedules, the next opportunity would be almost a year later–I didn’t like the sound of that. We kept an eye on the weather and on Friday morning, we made the call: we would depart at noon with an expected arrival into Wendover at 7pm. We were going to take our chances. Sunny and clear skies raised our hopes when leaving our hometown of Reno, NV. But proceeding east on Interstate 80, we noticed clouds forming overhead and by the time we reached Eureka, Nevada, we were in the middle of a downpour. We were half-way to Wendover, should we turn back? No, we had to push through; giving up now was not an option. Our drive, which we’d planned to take seven hours, became an eleven hour ordeal. We reached Wendover just before midnight and checked into our hotel. The rain let up and the clouds had begun to clear, but the ground was drenched, which meant that the salt flats would be a shallow lake. We grabbed a quick bite and called it a night; the next morning would decide our fate. After a rough and sleepless night, we gathered our belongings and left the hotel before sunrise. The roads were dry, buoying my hopes despite an exhausting night spent tossing and turning. As soon as we got back onto Interstate 80, white ground was in sight and our destination was closing in. From a distance, all looked good. As we approached the turn-off road, we could see mud on both sides from the water-logged soil; the salt flats were five miles ahead. 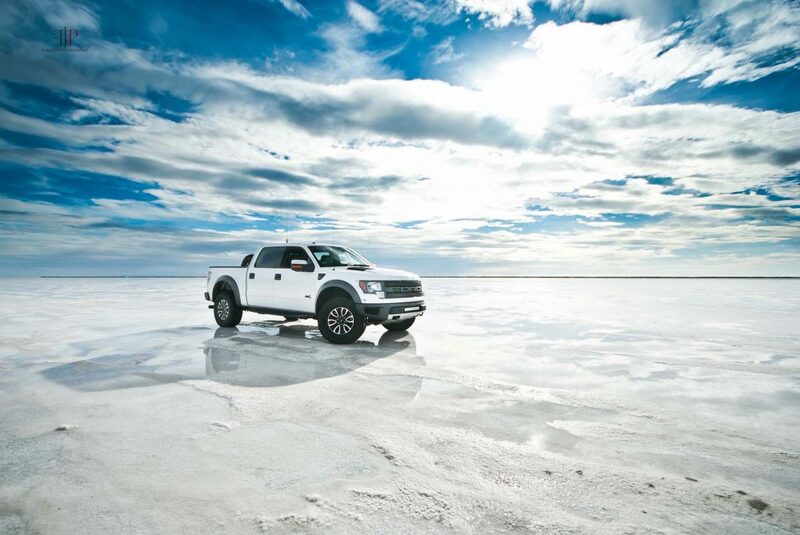 We arrived at the end of the road where the muddy desert terrain met the salt flats. A wooden monument stood with “Bonneville Salt Flats” etched into it; facts about the land-speed records and indie stickers garnished the front of the sign. I looked out into the vast empty space and an eerie feeling came upon me; it was as if I was standing at the edge of the world. The sky reflected off the standing water on the salt flats–almost as if I was standing on the very edge of our dimension. “So that’s it,” I thought to myself, “we came all this way with such high hopes of a dream shoot and it all ends here without a single snap of the shutter.” I was devastated. We contemplated other ideas such as photographing the car on the road next to the salt flats, but I didn’t want to compromise; it was all or nothing for me. We noticed the sun just breaking over the mountains to our east and the blue and magenta sky morphing into a golden yellow horizon as we felt the warmth of the rising sun creep over the mountain tops. After an hour of sitting, waiting, and contemplating our next move, we decided to unhitch the trailer from our truck and scope out higher ground on the flats where standing water may have run off. After fifteen minutes of searching, we found our spot: a two-hundred foot-long and eighty foot-wide patch of dry salt. This was it–our perseverance had paid off. We jumped in the truck and raced back to the road to get the trailer; we would not drive the F40 onto the salt by itself. We hitched up and followed our tracks back to our dry spot. After an hour of carefully unloading the F40 by hand onto bath towels and then onto the salty surface, I was set to fulfill a life-long dream. The truck and trailer were cleared away from the F40 and we set up our equipment consisting of cameras with various lenses, some ladders, a few tripods, and our camera bags. We both took a moment to take it all in; it was better than anything I could ever have imagined. I took my time with each photo; carefully planning out the composition for each shot as I knew this would probably be a once-in-a-lifetime experience. I wanted to make each photo count. 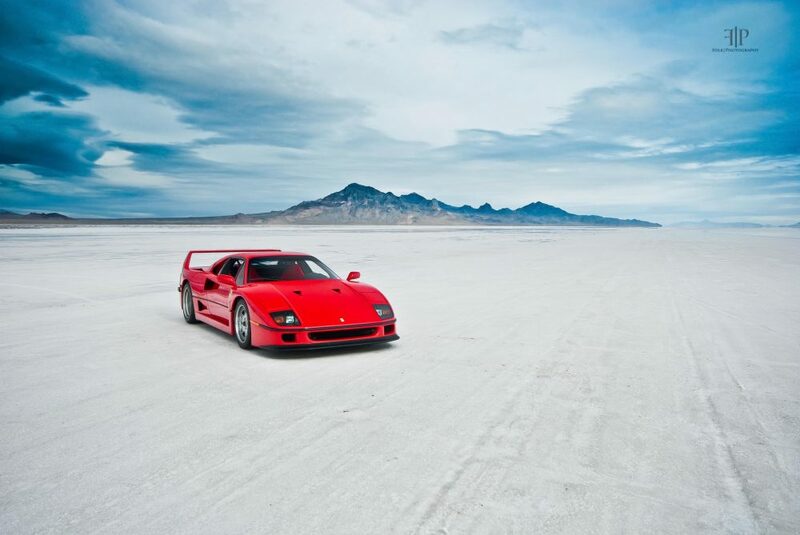 After about three hours of shooting, we loaded the F40 back into the trailer and packed up all of our equipment–the dream shoot was a complete success. A blanket of relief enveloped me as we headed home that day. I was constantly looking through the photos on my camera and we were both very, very happy that it all worked out. We shared laughs and raved about how stunning the location was and how well the car paired with it. It was an experience that will live in both of our minds for a long, long time. To this day, I get comments, and often overwhelmingly positive, feedback on images from this series. And even I go back at least once a day, to look at these images and reminisce on that day. I couldn’t have asked for anything better, what a trip. 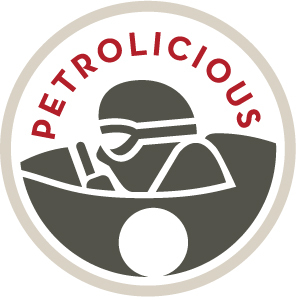 Want to see your road trip on Petrolicious? Click here for more information. Breathtaking. The photos are spectacular! Where can I order a poster? Wallpapers all changed! 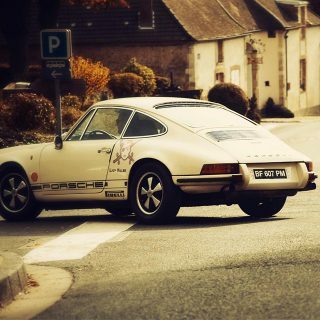 Great pictures, stunning car. Congratulations and keep those pictures coming! Thank you all for the kind words; I’m glad you enjoyed the article and the photos. As Guest MG had said, we didn’t drive the F40 as the gas stations were few and far between and we simply wouldn’t have the range on the F40 to get us from station to station. 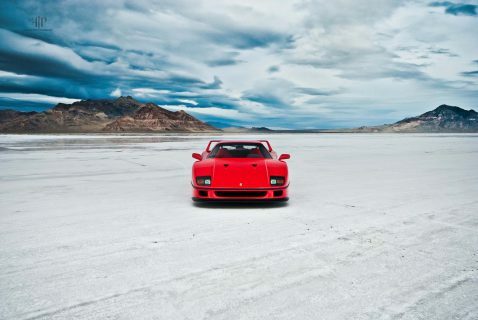 Also, we did not drive the F40 on the salt; it was rolled from the trailer onto bath towels and then slowly rolled off the bath towels to the salt. No salt was present on the car. 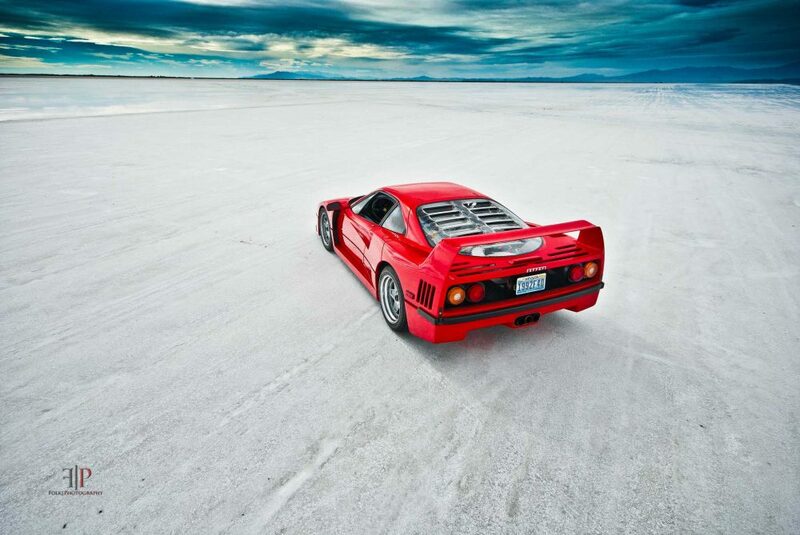 Ferrari + Salt ain’t good … but what a car and what great pictures ! 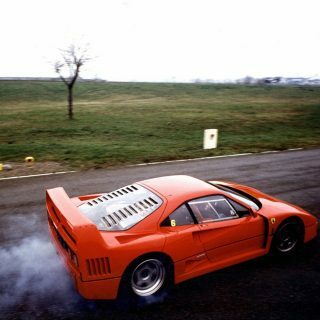 The F40, I know I won’t ever be able to afford it, but damn I would like to have a ride in it. Great work from the photograph though. 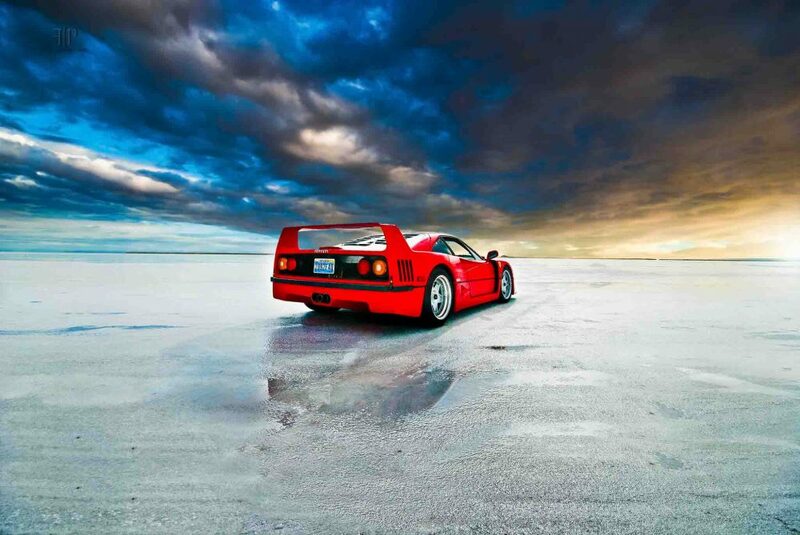 You could think that any picture of an F40 would be great, but here he made them even greater. Congrats to Gil for the beautiful and amazing photos! 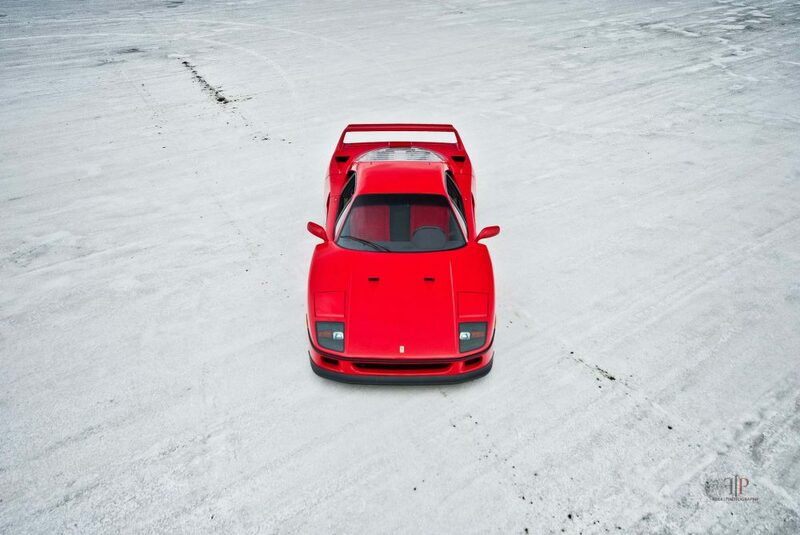 The F40 is still my all time favorite supercar! I still have all my original poster from the late 80s & early 90s. I still have that Enzo salt flats issue that inspired Gil, as well. 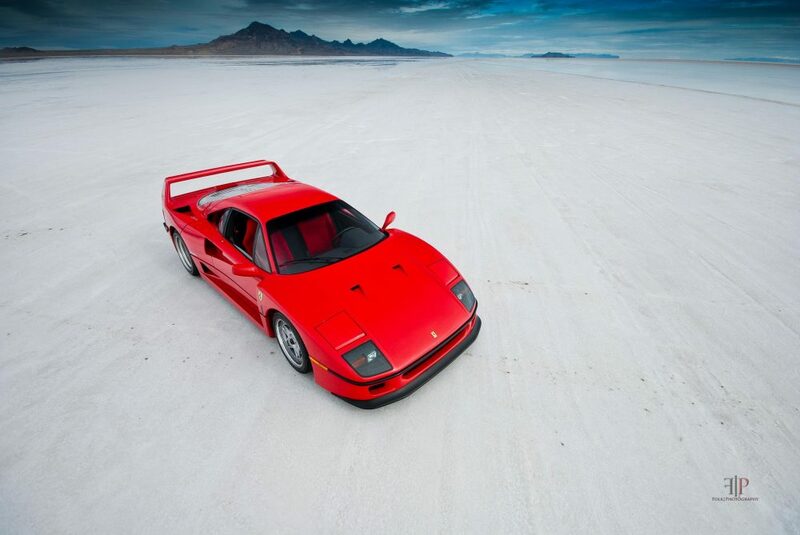 F40 is such a brutal design there’s absolutely no detail in it that is pretty or beautiful. 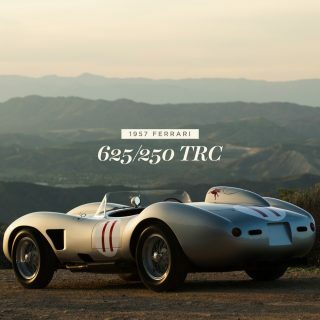 But put them all together – it’s so amazing – it’s one of the prettiest Ferraris, or one of the prettiest cars of the modern era. I wish I know what the magic is. 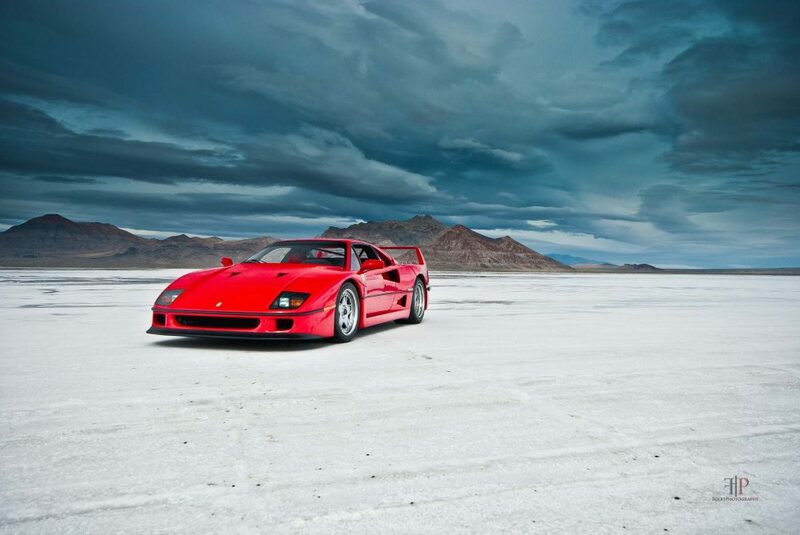 Kudos to the owner who is NOT afraid to put on almost 1000 miles on his F40! 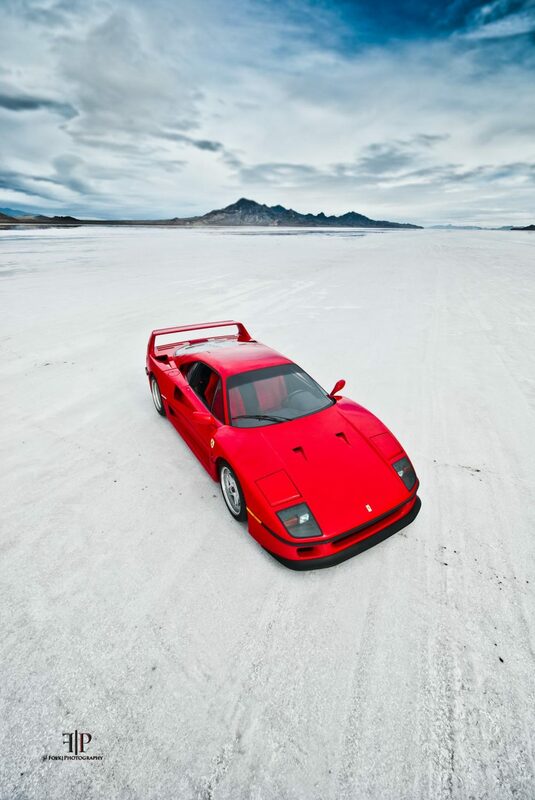 They trailered it there, they did not drive the F40 at all, if I read the article correctly. Brilliant photos and well written article! Ever thought about converting the beautiful pictures on this website into desktop wallpapers? Especially these! !